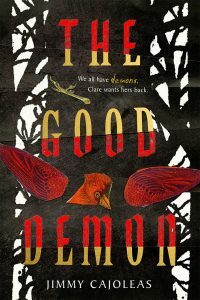 From the snarky to the serious, young adult shelves are getting a healthy dose of demonic activity this year. Whether it’s a complex romance set during the Crusades or an action-packed adventure filled with quirky humor, there’s something for every reader looking for a dash of the paranormal. Cajoleas, Jimmy. The Good Demon. 320p. Abrams/Amulet. Sept. 2018. Tr $18.99. ISBN 9781419731273. Honeybourn, Jennifer. 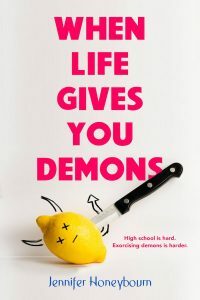 When Life Gives You Demons. 272p. Feiwel & Friends. Jul. 2018. Tr $16.99. ISBN 9781250158239. Ngan, Natasha. 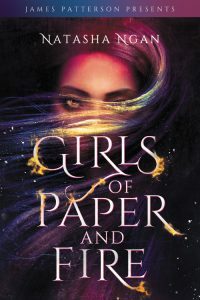 Girls of Paper and Fire. 336p. Little, Brown/Jimmy Patterson Bks. Oct. 2018. Tr $18.99. ISBN 9780316561365. Starr, Kimberley. 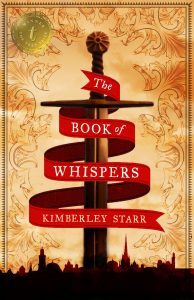 The Book of Whispers. 400p. Text Publishing. Feb. 2018. pap. $11.99. ISBN 9781925355512.